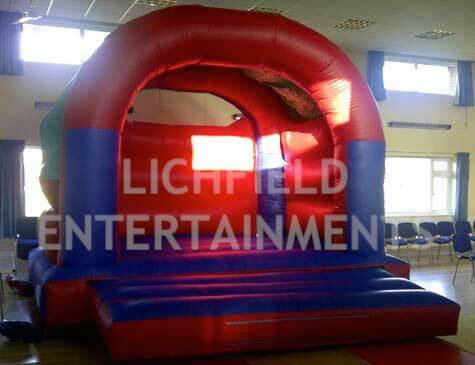 We have the following range of Bouncy Castles available for hire with something to suit all ages but please note that we only hire out bouncy castles as part of larger multi-item packages and not on their own. All of our bouncy castles are safety tested and comply with the BS EN14960 standard. Under 5's 7x7ft Inflatable Ball Pool suitable for kids up to age 5 only. Has a pair of ball air jugglers either side. Requires an overall operating area of 12x10ft, indoor use only. 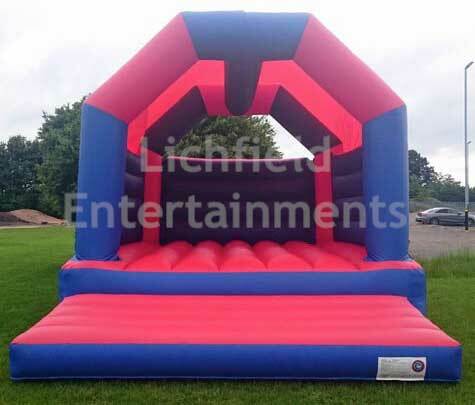 13x11ft Under 7's Indoor Bouncy Castle with netted sides for easy supervision. Inflatable bits n pieces on caste bed. Requires an overall operating area of 18x15x9ft (depth x width x height). Indoor use only. 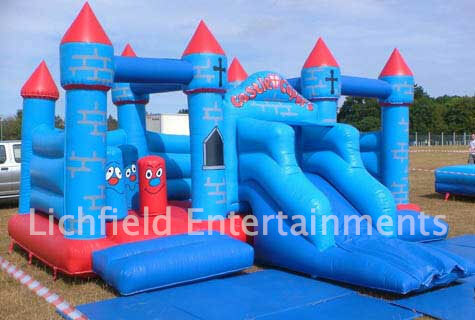 Childrens Activity Castle suitable for kids up to age 9 only. This castle features biff bash, a bouncing area, and slide to the front. Requires an overall operating area of 24x24ft (depth x width). All Bouncy Castles are supplied with safety mats as standard. 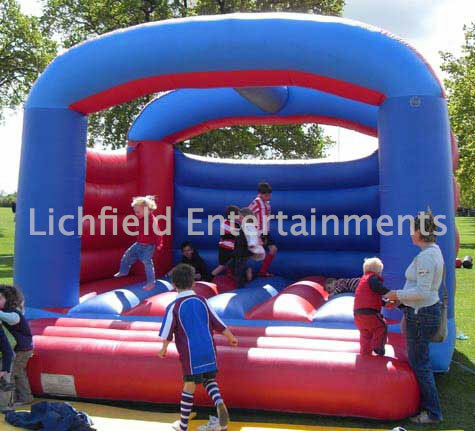 If you have any queries, questions, or would like to hire bouncy castles or other inflatables please click here to enquire and we will do all we can to help.